Lionel Messi as popularly known by most football aficionados all around the world. Messi, stands only about 5 feet and 7 inches in height, only shows that shortage in height is not a disadvantage at all. He is every football team manager’s dream of having into their team. He has the superb football skills, amazing speed of pace, playmaking and scoring a goal, some basic ingredients to make a soccer team win. He is often touted as Diego Maradona’s heir apparent. Although, Carlos Tevez can be considered too. The Argentinian had a not so easy rise to stardom during his youth. He had hormonal growth problem when he was just 11 years old. It will risk his promising football career, so his parents had to make a move. His father courted Argentinian football clubs, even a few of European clubs, but were unwilling to spend $900 a month medical bill to improve his height. It was only Barcelona FC who made the right move. 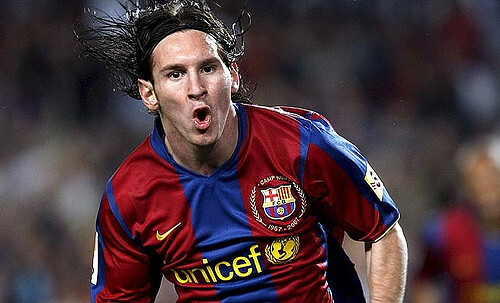 The Spanish club signed Messi in year 2000, and made his professional debut in 2004 at age 17. Buy Nike #10 Messi Barcelona Soccer Jersey at Amazon.com.